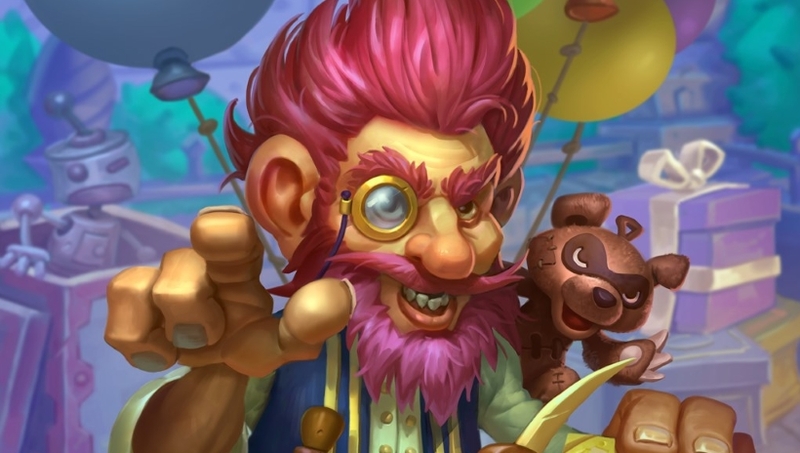 Our Malygos Hunter deck list guide features the best Rise of Shadows deck list for Season 61 of Hearthstone (April 2019). Our Malygos Hunter guide will be updated with Mulligan advice, card combos and strategy tips. Malygos Hunter is a Hearthstone deck that's been theorycrafted by a few players ahead of the launch of Rise of Shadows, but it'ss probably best considered as a rather optimistic competitive deck at this stage. Don't craft anything too spicy, in other words. That said, there are some players messing around with the archetype in the early hours of the new Hearthstone meta, and we wanted to bring you a super-snapshot guide to help you sample it for yourself if you have the cards. New card Jepetto Joybuzz plays a big part in the proceedings here, allowing you to - hopefully - bring Vereesa Windrunner and Malygos into your hand at a mega-discount. From here, it's a case of fielding both minions, setting up the extra spell damage with a swing of your new weapon, and then unleashing your cheap spells into the opponent's face for massive damage. As this is such an experimental idea at the moment our deck guide is a little thinner than the rest you'll find on Metabomb. Still, we've highlighted a deck list seeing play at launch and broken down the combos for you to help you get started. If this does become a part of the meta, we'll be updating this guide significantly with a refined deck list and much deeper strategy advice to help you play it to perfection! Until then, let us know how you're getting on with it in the comments. This is a very rough starting point for Malygos Hunter in the new Rise of Shadows meta. We'll have an updated deck list for you as more data from the launch emerges. This starter version was created by Kripparian. - With Malygos on the board, all of your spells do an extra five points of damage. Look for synergies here with the likes of Arcane Shot, Rapid Fire, Kill Command and more. - Jepetto Joybuzz is a key card, and you hope for him to draw you Malygos and Vereesa Windrunner. The latter grants you a weapon which provides extra spell damage after your next swing, so use that extra oomph wisely! - Rapid Fire is a new Twinspell card, which means you get an extra copy of the effect to play either on the current turn or a future one. Play it twice on the same turn Malygos is fielded for big damage. - If you can get a Beast on the board before playing Kill Command, it'll do even more damage beyond its Malygos buff. - By feeding Arcane Fletcher your cheap minions, you'll be able to start banking those damage sources for your big Malygos play. Halazzi, the Lynx is a huge source of fuel in this regard.